We all have stories. Stories of sadness, hard times, loneliness, and fear. Stories of birthday parties, time spent with friends, trips to the zoo, and bicycle riding. These stories weave us together, creating bonds and memories and building dreams for the future. 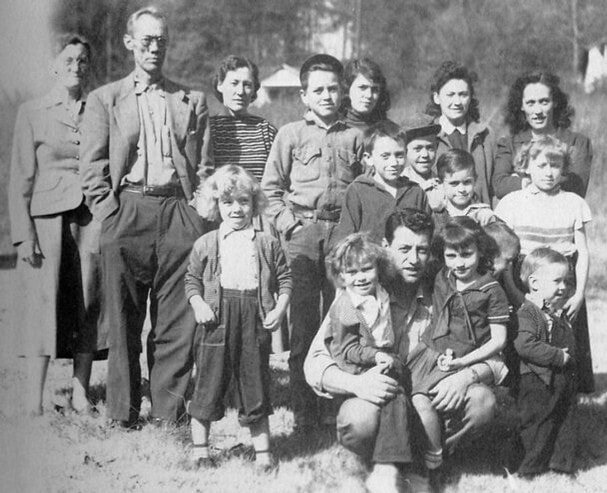 The picture to the right is me at age three at the park with both sets of grandparents and my parents. Don't you just love the dated clothing? Classic! 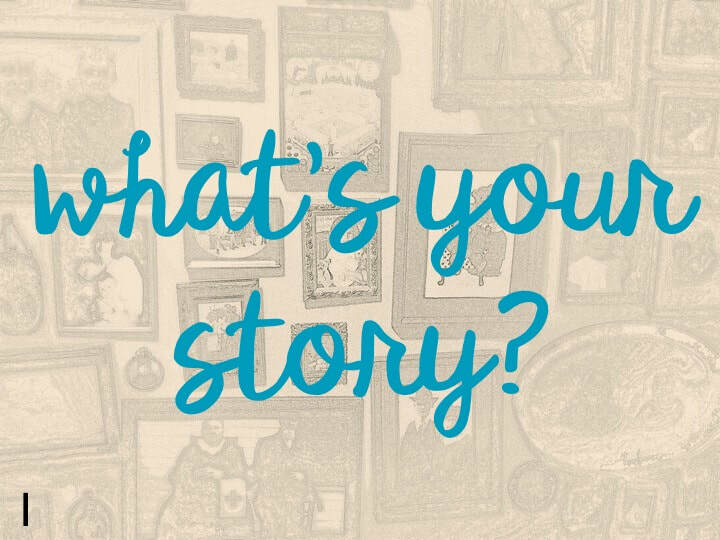 Like every individual, I, too, have stories. These stories bring back memories and emotions and create dreams. I am dreaming big this year! To quote my favorite president, Theodore Roosevelt, "Believe you can and you're halfway there." Time to dream big! As I teacher, I love to bring the stories in history alive for my students and help them connect to the many history makers we learn about. They too, are history makers with stories to tell. Stories of hurt and sadness and stories of joy and happiness. Stories create hopes and dreams and connect us as individuals. ​What are you doing to reach them? I truly can't think of a better way for me to start the new year and a weekly post that I have been wanting to start for awhile than with one of my heroes, Dolly Parton. Tomorrow, January 4, the Grand Ole Opry will be celebrating the 50th anniversary of Dolly's membership at the Grand Ole Opry. Fifty years! That simply goes to show the talent and determination Dolly shows both in her career and her life. Dolly will also be celebrating her birthday on January 19th. Three For Thursday will feature a timely book, a primary source/artifact, and a Moffat postcard(s). These items can be used together as a lesson in the classroom or a fun inspiration for home studies. I hope you find this inspiring. 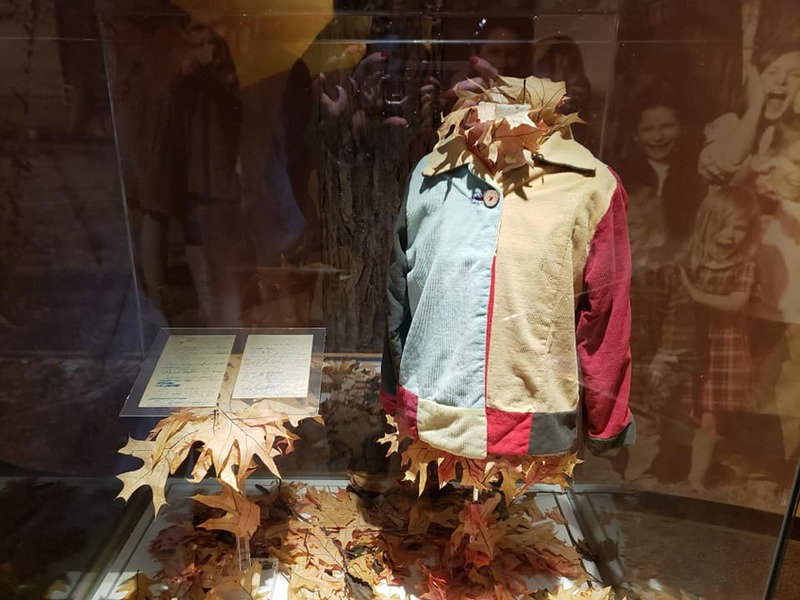 The photograph below is Dolly's loved and iconic "coat of many colors" that is the real life artifact that inspired her favorite song "Coat of Many Colors" in 1971. At that time she wrote the lyrics, she was traveling with Porter Wagoner. Unable to find paper, she wrote the lyrics on the back of a dry cleaning ticket! 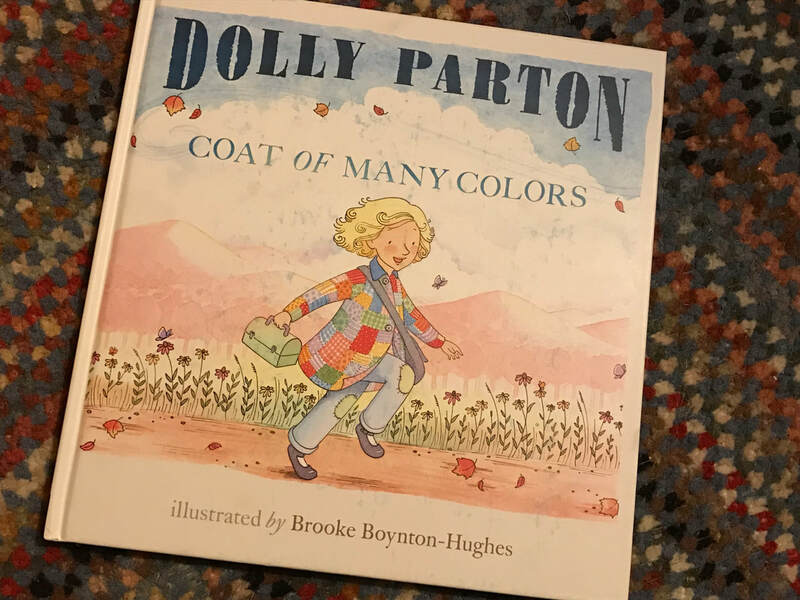 This is the newer version of Coat of Many Colors by Dolly and illustrated by Brooke Boynton-Hughes. An earlier version of the book is also available. I use this book in my classroom as a mentor text for personal narrative. Several themes in the book, including the love and support of a family and being mistreated by classmates, are easily related to by most students. The book also demonstrates how a story can be inspired by a personal object. If you are unfamiliar with the song, the book or even the new movie, I highly encourage you to to take a closer look. In closing, I would like to share Dolly reading this book at the Library of Congress as part of her Imagination Library program. Yet one more reason to love Dolly, like I needed one! I am not much of a New Year's resolution type of person. Never have been. However, as 2019 approaches, I have set some personal writing goals that I am doing my very best to achieve. This is not a New Year's resolution, but rather a life goal. Today, I spent a great deal of time at my new desk made by my husband for Christmas. Moffat and I are sitting here with my new 2019 Smithsonian calendar (thanks dad), my TR/teddy portrait, family photos, and a view of Pikes Peak. I hope to bring more insight into best social studies practices in the classroom for young learners. I want to return to my blog, create more resources for teachers, present more and get to writing some children's books! Fingers crossed! I continue to grow and learn myself from other amazing educators and am thankful to have strong mentors in my own life. Wishing everyone a bright 2019...and so it begins! For several weeks now, I have been watching friends tag other friends while posting the cover to their favorite books. In the midst of this, I was tagged by a good friend, and until now, have yet to respond. The truth is, I struggle with getting through novels. Don't get me wrong, I desperately want to. My nightstand has a substantial collection of them that I have the best intention of truly enjoying. I want to, but struggle greatly to complete the books. It's tremendously frustrating. Recently, I was attending a teaching seminar in Washington DC and enjoyed as many of the museums as my off time allowed. If you haven't spent time in the book section of a museum store, you are missing out! Before the internet, the best place to locate a high quality selection of amazing literature was in a museum book store. When I was at the National Gallery of Art and rounded the corner in the children's book section, I felt like I was home! To quote Thomas Jefferson, "I cannot live without books." I just prefer my books to be children's picture books. 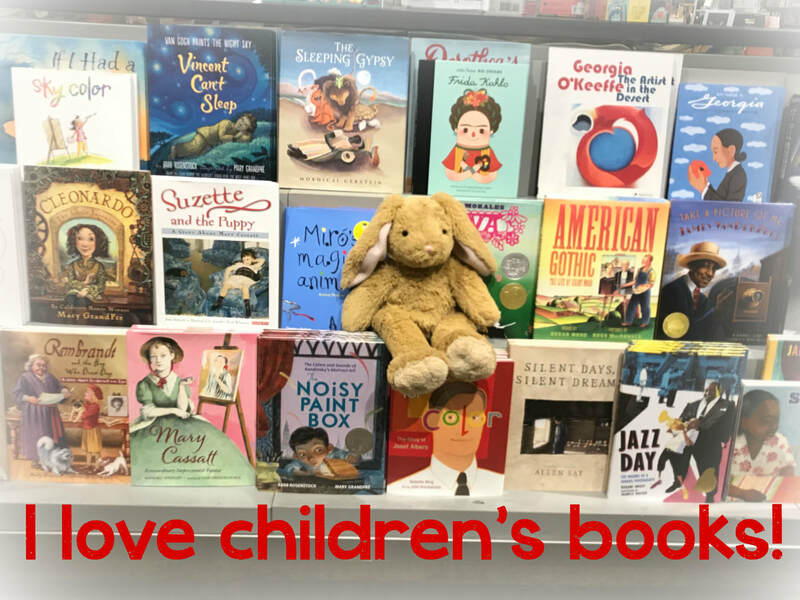 Over the last ten years, since I have focused on cataloging children's books through the lens of geography and history, a whole new world of literature has burst onto the scene. Whenever I am sharing one of these pieces with my first graders, we always look to the back of the book at the author's note and the bibliography. Just because it is a short picture book, does not mean that there has not been some research on the subject. I like to use these examples with my kids to share what writers do for their craft. So...with this being said, I am going to challenge ten of my friends to post the cover of their favorite children's books, no other comment. I will be posting too, picture books of course!! My inspiration..."The Book Lady (aka Dolly Parton)"
I haven't blogged in several months. I have taken some time to step back from social media to simplify life. However, I think writing about "The Book Lady", aka Dolly Parton, is the best place to jump back in. For most Americans, Dolly is known for her legendary career in country music, beginning in the late 60s. My husband and I were fortunate enough to hear her in concert at Red Rocks in 2016 and then visit the Country Music Hall of Fame that same year. In the CMHOF, her dress, shoes and scratch paper with the words to her iconic song, "Jolene" were on display. Such a treat to see and experience! However, for millions of Americans age 5 and under, Dolly is known for sending one free book a month (60 all together) to foster the love of reading. Her program, Imagination Library, started locally in her hometown in Tennessee and was started to honor her father, who was never given the opportunity to learn how to read. This weekend, I once again began searching for a Dolly t-shirt (I have wanted one for a long time) and came across the above quote from her. She may be the queen of country music, but her leadership in business and education for young children sets her apart even more. Dolly knows who she is and lives her life to the fullest. Her purposeful life is not only a gift of entertainment for the world, but a gift of early literacy skills for young children. She dreams big and works to fulfill those dreams. 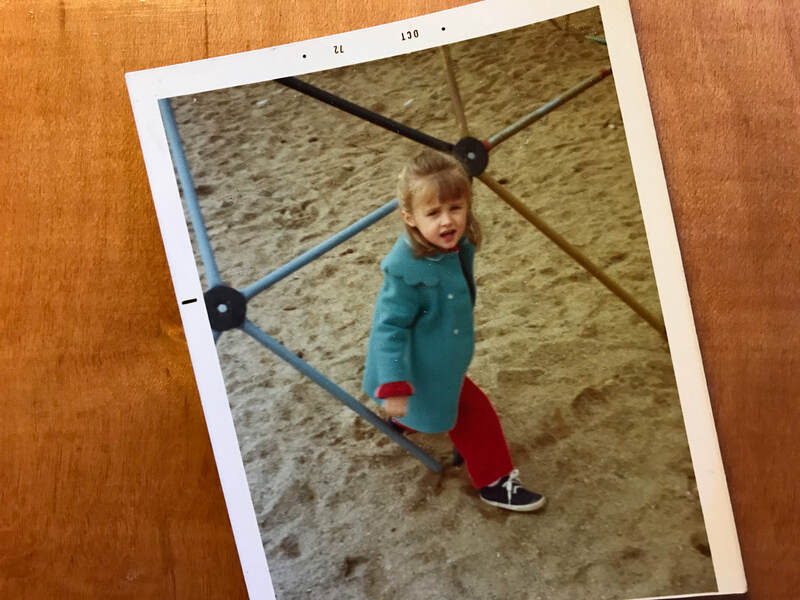 In my own life, I have many dreams and so many of those involve educating early learners. It is hard work, but it is worth it. 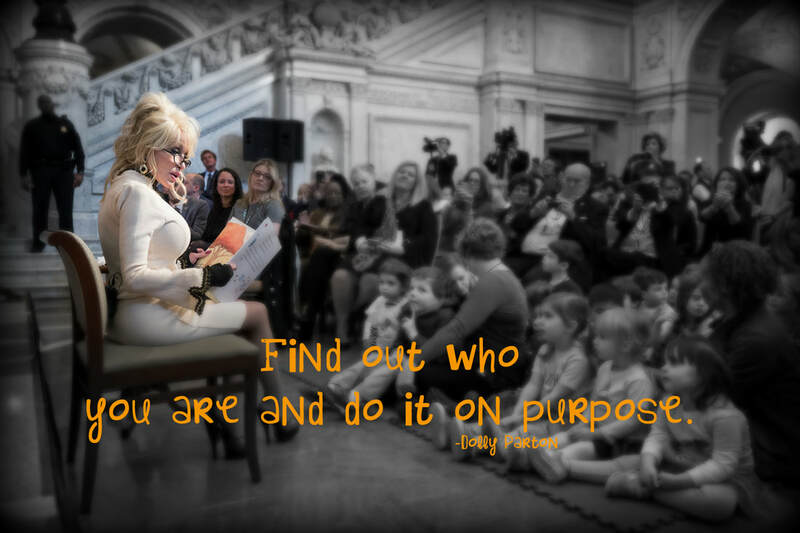 I hope all of us can look to Dolly for inspiration. One final note, it is going to take years for those sweet preschoolers in this picture to realize the event they got to participate in! Oh how I would have loved to have been there myself!! Engaging students in stories through different perspectives is a key element when teaching history. It is important to help students understand that humans experience an event through different eyes and walks of life. I like to extend this teaching to photography and primary sources. Most commonly, the images of MLK's "I Have A Dream" speech are focusing on him as he is standing on the steps of the Lincoln Memorial. I like the image above as it encourages a different perspective. I am curious to see if my students can identify the location of the image based upon the Washington Monument in the background. Secondly, this view encourages a discussion around the overwhelming number of people gathered on this particular day. Why are they there? What event could draw such a large crowd? Several years ago, I taught with a woman who is one of those little specks of a human in that overwhelming crowd. Her father had taken her and her brother on a bus from Philadelphia to see MLK's speech that day. She was very young and doesn't remember all that much aside from the large crowds. She does know that they were standing to MLK's left. I like to look at this photograph and think of my friend standing in this huge crowd witnessing this life altering speech. Perspective is important, both for the stories and the images. 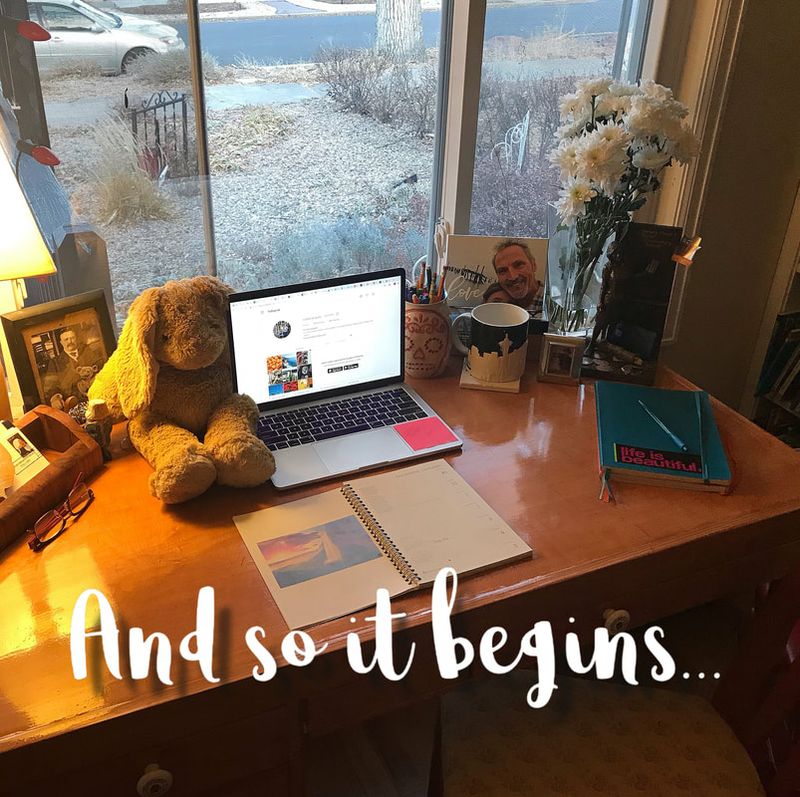 I have been wanting to start this segment of my blog for awhile. I incorporating a strong piece of literature with a Moffat photograph and a primary source document in as many of my lessons as I can. It's hard to go wrong when you have the primary source and a Moffat photograph! Our studies are finishing the American Revolution and moving into the Louisiana Purchase. Thomas Jefferson is the perfect bridge and this book is a gem. 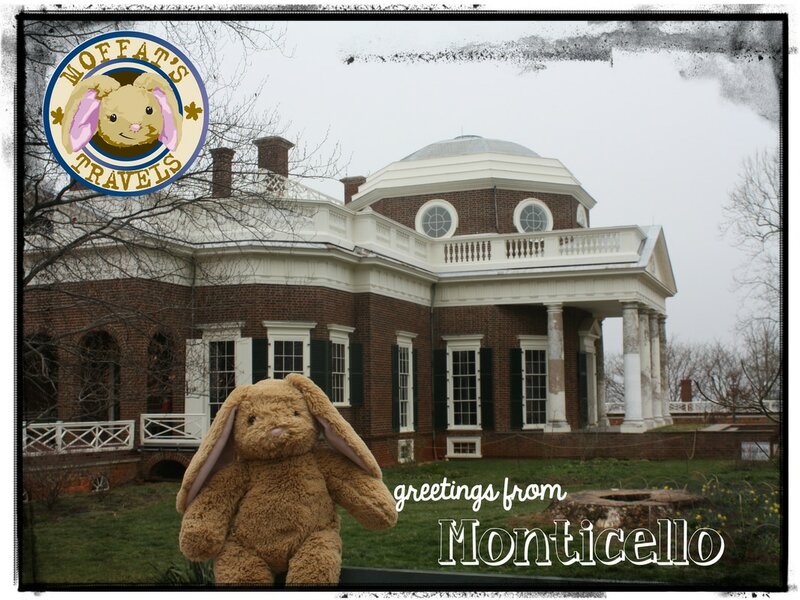 I start the lesson with the photograph of Moffat at Monticello and have the students recall who might have lived there. We then move into discussion around Thomas Jefferson's amazing diagram of the macaroni machine. Students love hearing about the "love apple(tomato)" and how Thomas tempted others to try it. It is rather easy to find a parent that wants to bring in some TJ mac and cheese to finish out the leaning fun. I love election season. Let me clarify, I love teaching during election season. ​It's Friday and I often use the day to put done stamps on projects or do fun stand alone projects. I am tucking election/presidential pieces in all over the place right now. I love the new series of Fly Guy books by Tedd Arnold. They have a great storyline, while at the same time, tucking in all kinds of crazy facts that the kids just eat up. We were using the fire station one earlier this week. I purchased the White House books for all of my kids so that we could access the presidential timeline within the book. The math involved with the presidential terms is too good to pass up! We made it through part of the book, discussing along the way and then looking at the timeline. 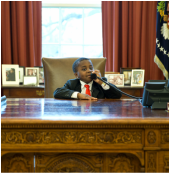 I decided to wrap up our day with one of my favorite Kid President videos where he get to go to the White House to meet President Obama. It's a classic! What surprised me was the amount of kids in my classroom that had never seen Kid President. WHAT? Never seen Kid President? Clearly, I know what I will be showing during snack time today. The message Obama shared with him was even rather timely for some kindness issues. 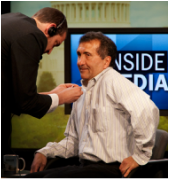 As I shared the video, I stopped along the way to show the images of White House photographer Pete Sousa. I am honored to have both a family photo with the President, as well as an individual photo, taken by Pete. They both hang in my classroom. As I discussed Pete's job with my class, they began to wonder if his photographs of the President are some of the ones highlighted in Fly Guy Presents The White House. What a great question! I don't know the answer, but it was an incredibly fun lesson. If for some reason you have not seen Kid President or the new Fly Guy book, I encourage you to check them out. Also, take the time to look at some of Pete's photographs. The are magnificent! This summer, I was fortunate enough to participate in the Colonial Williamsburg Teacher Institute. We were treated like royalty and the learning that we were able to participate in will be hard to be repeated. During my time there, I spent an afternoon visiting the Abby Aldrich Rockefeller Folk Art Museum. My husband and I have always loved folk art and I had seen the pictures of the collection. The collection did not disappoint! During my visit, I have to say my favorite exhibit was "Down On The Farm" featuring a collection of folk art farm animals. 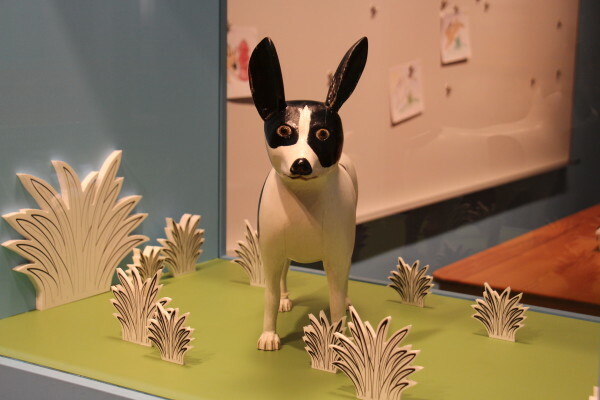 Prince, the main character of the exhibit, is a carved terrier from the Weill family. The designers of the exhibit set Prince as the main character in a narrative where he travels to a farm and encounters many adventures with the local animals. The setting is brought to life through a series of folk art paintings of rural farm life. This weekend, I had some long overdue time to do some creative planning. I had purchased the book and stuffed dog from the exhibit, uncertain of how I might use them in my classroom. Time is a magnificent thing! We have been working on narratives during writing and I am always looking for new opportunities to extend our museum studies. I am not sure where my plans will take our class, but I am excited for the possibilities. The wheels are turning and that always leads to a grand plan. Today, history educators lost at great man. A man that has changed my life, although I didn't truly realize how much until I learned of his passing this evening. Oddly, my last Moffat book was dedicated to Bill and my TAH cohort. A few days ago, I posted about change and how teaching is like a closet. New things come in to make change. Seven years ago, TAH and Bill Virden entered my life. At the time, I appreciated history more and more. At the time, my husband was unemployed and the TAH grant was an option for classes. I vividly remember coming home to my husband proclaiming that I could get paid to go to to history class. REALLY?!?!?!?!? It was a new day! The TAH (Teaching American History) grant class was both exhilarating and intimidating at the same time. At the time, I taught Kindergarten. I was sitting in a room with middle and high school teachers. Again, I taught Kindergarten. I was happy to teach my kids about basic landmarks and the current president. Bill Virden was our leader for TAH, accompanied by his incredible group of expert teachers. For the next four years, I was engaged monthly with an enlightened group of passionate history educators. Friendships were made, knowledge grew and a bond was established. It was amazing. Yet again remember, I was a Kindergarten teacher among jr/hs teachers. Over the years, I grew and apparently, Bill realized that time in class had changed me. He believed in my work with young kids and was invested in my career. I remember the day when he and his wife took the time to drive down from Denver to see my first graders (I moved up) present their American history reports. It meant a lot to me to have he and Jo make the trip. My time in TAH opened many new doors. in time, I had the confidence to apply for NEH and Gilder Lehrman courses. I was accepted. Yet again, I was changed. I began writing curriculum for various establishments. A more significant shift happened in my classroom teaching. History was the root of my curriculum. Everything could be taught through it. I vividly remember the summer of 2013. The previous summer, I had to bow out of the week long TAH class. I was beginning my masters courses at Colorado College. I had to make a choice. However, history was alive and well in my mind and I managed to get excused from a week of my master's class to attend the TAH summer course. Bill had an a line up for the elementary teachers that was amazing! Again, I was changed. I am the educator today because of a change in my closet. This change was Bill Virden. Many of us are the educators today because of Bill Virden. He opened new doors in my life and created change. I am better for it. I am thankful for it. Rest in peace. You will be missed more than you know!